The trees are veiled in the white purity of winter, frosted gently with snow as the bare branches carry light bounds of snow. The creamy woman steps forward, her white cloak and furred cape flow behind her as two similarly white wolves bound outward from each side, pink tongues lolling down in excitement as they take to the winter world. 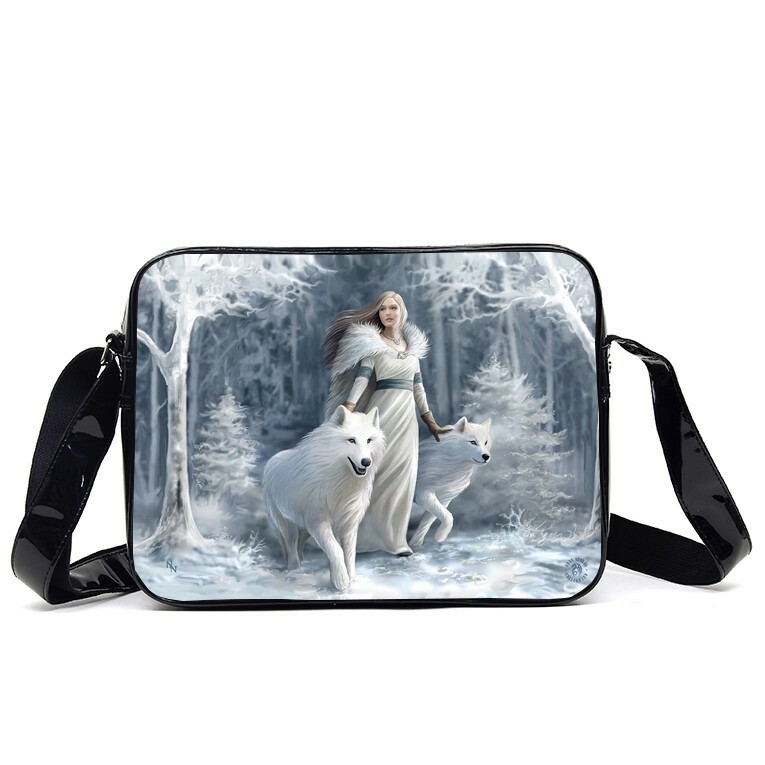 If you are a fan of the more beautiful side of nature and magick then this winter wolf sidebag is fit for you.